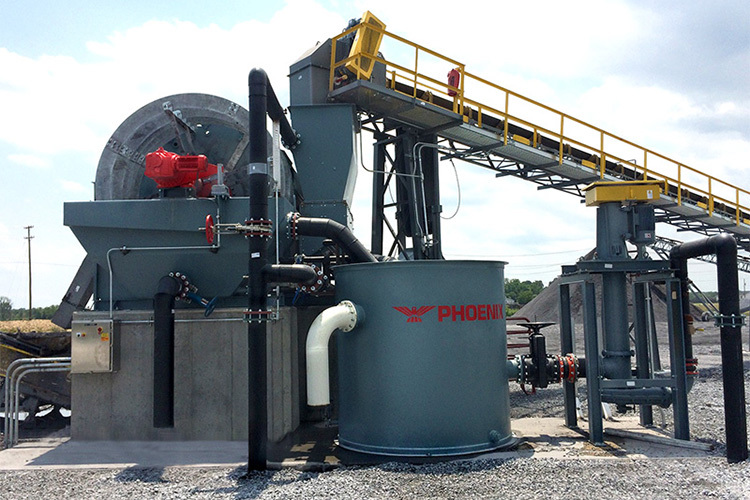 PHOENIX/KISA Bucket Wheels capture, de-slime and dewater sand, frac sand, waste fines, specialty sands and gravel from dredging and sand processing operations. 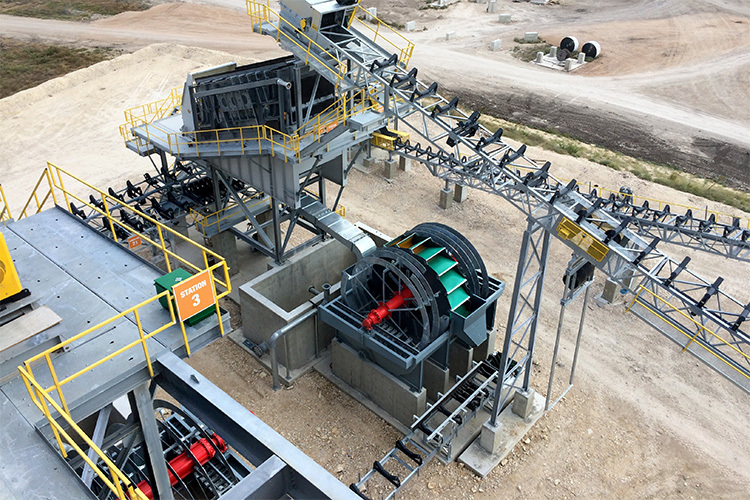 Bucket wheels are designed for high solids recoveries with exceptionally low power requirements, even from dilute slurries such as dredge spoil. 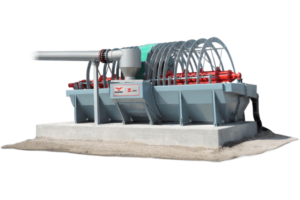 The dewatered solids are readily conveyable and stackable. 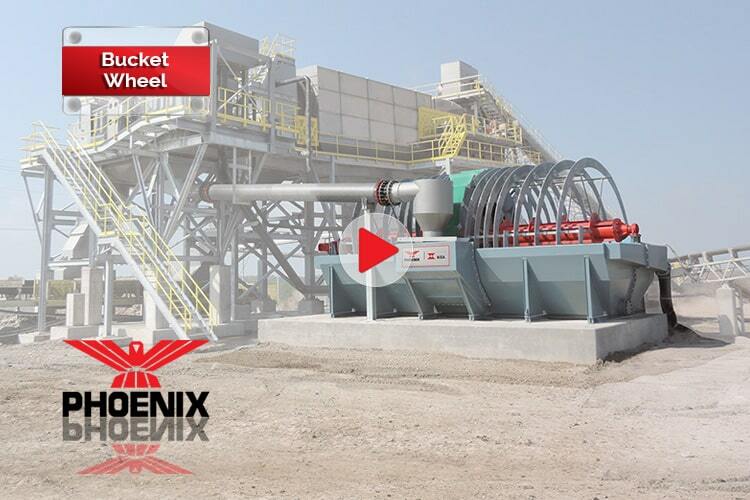 Aggregate wash plants and industrial applications with granular slurries can obtain up to 1700+ STPH high solid handling capacity with PHOENIX/KISA bucket wheels. 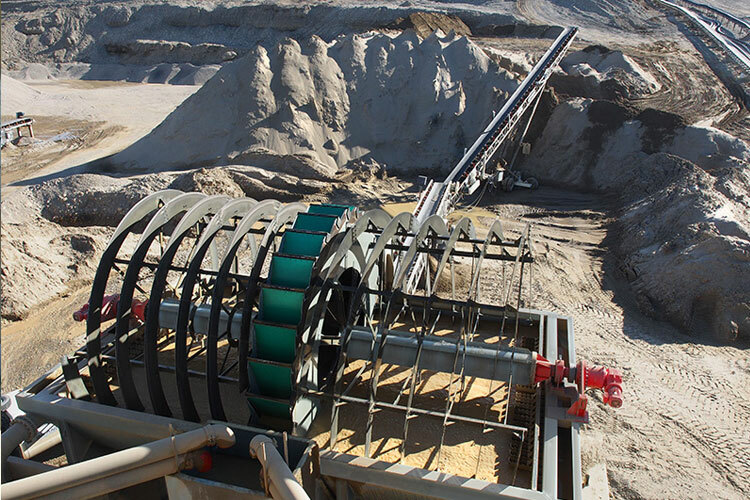 Depending on the wheel diameter, the Bucket Wheel is equipped with multiple buckets. 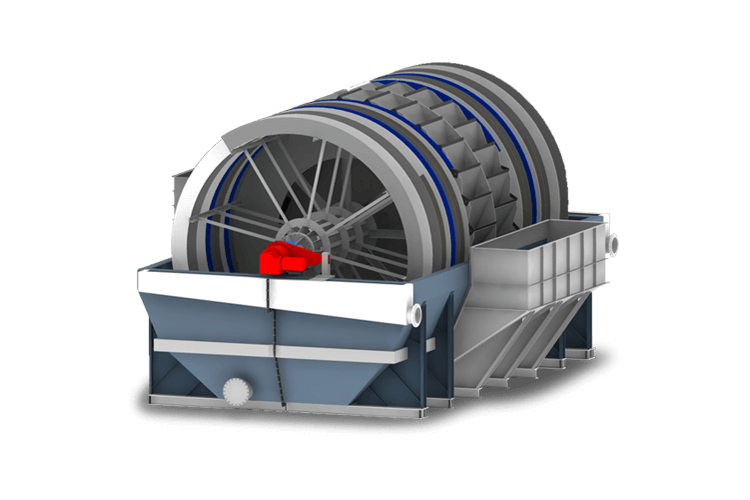 The buckets feature a slotted elastomer sieve mat design which provides consistent drainage surface area along with siphon pipes which further enhance the Bucket Wheel’s dewatering effect. 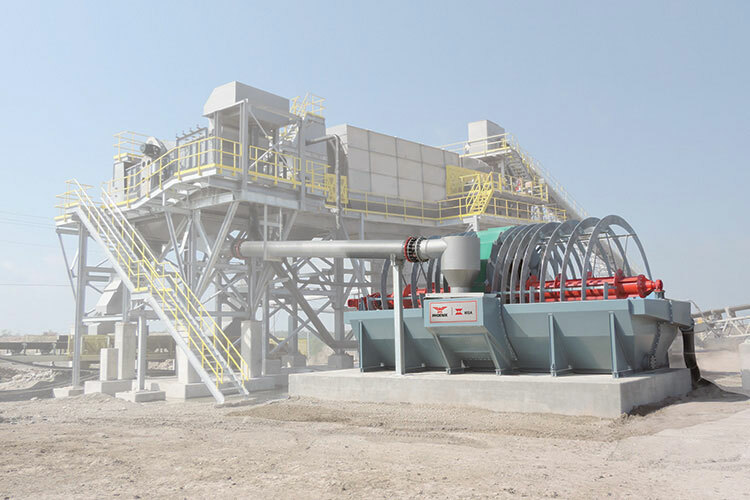 The wheel diameter and bucket width determining the solids handling capacity, while the surface area of the slurry bath defines the hydraulic capacity. Bucket Wheels are available in more than a dozen sizes including standard and extended bath models. Material is feed into the feed box. 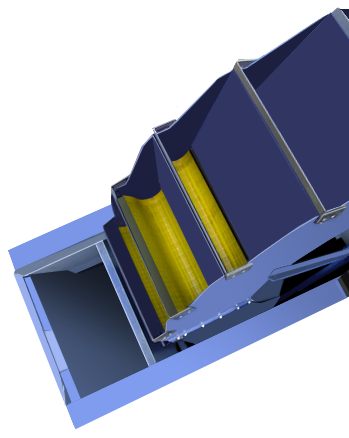 Buckets lift and slowly rotate the material. 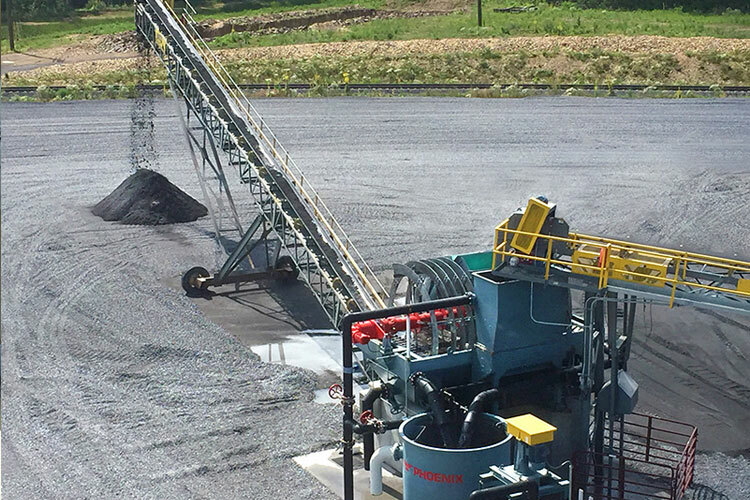 Water and granular solids material pass through the sieve mats and settle in the bath. 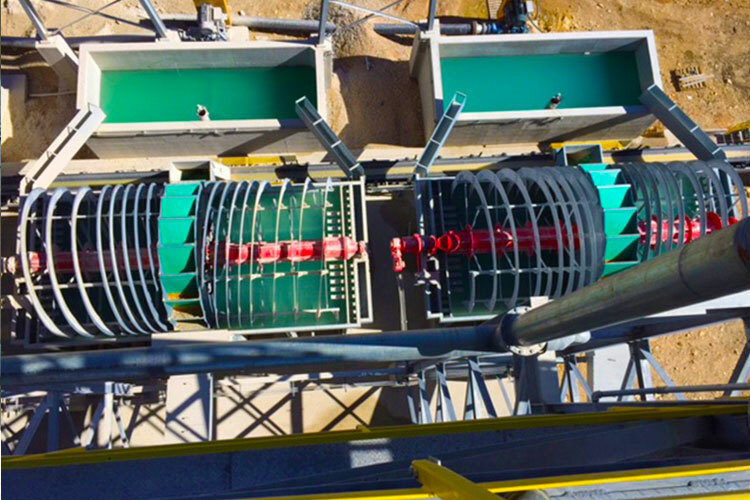 Material dumps into discharge chute. Waste fines flow upward in the bath to the overflow launder.